There are times in life when you need to stamp your authority, being a no-nonsense character – and that might also mean you are prone to flashes of anger that could cause you to throw your notebook against the wall in frustration simply because the software was way too hard to figure out, even with a manual and a call support system. Well, just to make sure your notebook survives the throw, perhaps you could have gotten the Dell Latitude XT3. The Latitude XT3 convertible tablet PC, however, was specially constructed to aid mobile professionals out – especially those who prefer to work without boundaries with all the productivity, power and functionality of a standard laptop, while bringing to the table the flexibility and dynamic interface of a responsive touch-screen tablet. Needless to say, the Dell Latitude XT3 is not meant for those who love sitting behind their cubicles all day long – instead, it will target healthcare professionals, educators and service personnel, allowing them to work almost anywhere. The Dell Latitude XT3’s display has been given an upgrade to hit the 13.3″ form factor, boasting of an HD LCD in the process. This delivers bigger landscape and wider viewing angles, letting it be worth looking into in either laptop or tablet modes. Not only that, you also have the option to include an outdoor viewing screen on the XT3 if you tend to work in sunlight for the most part. Underneath the hood lies a bevy of new Intel Core i processors to choose from, letting it handle just about any computing job that you throw towards it. You can opt to stash up to 320GB of storage space on this puppy, but if you prefer non-moving parts, there is always the choice to include a SSD. 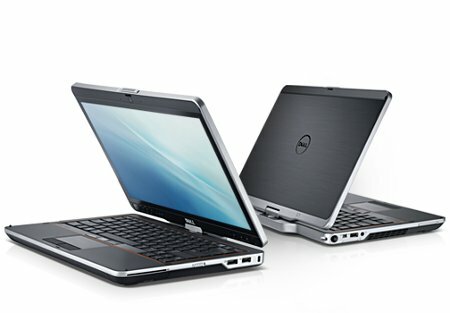 Depending on its configuration and programs that you run, the Dell Latitude XT3 can run up to 8 hours, while you can always Latitude ExpressCharge the battery to hit 80% in around an hour, how does that sound for convenience? Other hardware specifications include a four-finger capacitive multi-touch surface, pen, touchpad, full keyboard (optional backlit functionality) and mouse capabilities. This tough as nails puppy is compliant to MIL-STD-810G testing, thanks to its strong magnesium alloy reinforcements behind each corner and a spill-resistant keyboard.